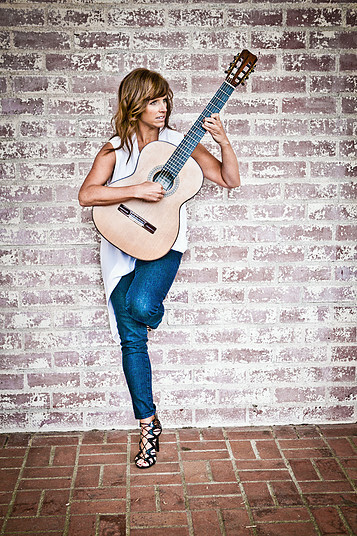 Martha Masters first achieved international recognition in 2000 when she won first prize in the Guitar Foundation of America International Concert Artist Competition. That same year she also won the Andres Segovia International Competition in Linares, Spain, and was named a finalist in the Alexandre Tansman International Competition of Musical Personalities in Lodz, Poland. Since then, Ms. Masters has been active as a solo recitalist, chamber musician and concerto soloist around the world. Her 2015/2016 season includes appearances at festivals and on concert series through the United States, Germany, Poland, Russia, and China. Masters received both the Bachelor and Master of Music degrees from the Peabody Conservatory, where she studied with Manuel Barrueco, and completed the Doctor of Musical Arts degree at the University of Southern California as a student of Scott Tennant. Ms. Masters is currently on the guitar faculty of Loyola Marymount University and California State University Fullerton, and is president of the Guitar Foundation of America. She has five recordings on the Naxos and GSP labels, and has published books three books with Mel Bay Publications and Alfred Music.